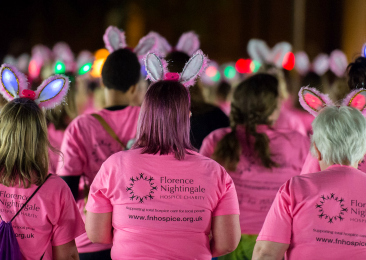 Early Bird reservations close on 28th February 2019. You must register in advance for this event by Wednesday 19th June 2019. 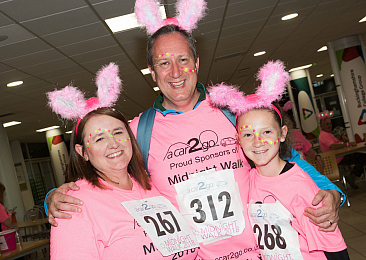 Find out the answers to your questions with our FAQs. 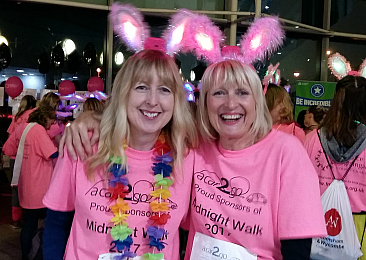 Find out more about our corporate sponsorship packages for the Midnight Walk - raise your business's profile while supporting a very worthwhile local charity. 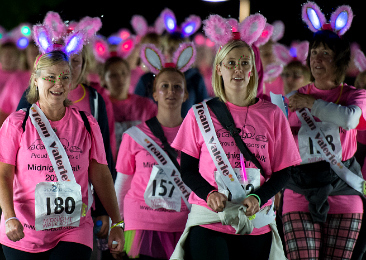 Thousands of Walkers have taken part in the Midnight Walk over the past decade. 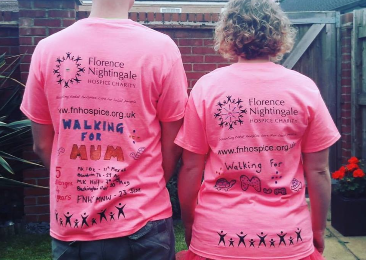 Find out why people choose to walk for Florence Nightingale Hospice Charity. 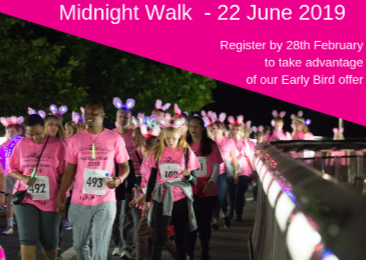 Make sure you read the Terms & Conditions before registering for Midnight Walk 2019.